Offering you a complete choice of products which include pearl milni reception mala and reception milni patka stole. Pearl Milni Mala for Recpetion of guest as well as jagran, sammellan, chowki, meets. The variety is huge with various designs and patterns. We are offering Patka Stole at an affordable cost. Our printed stoles are widely used by ladies because of their great look. 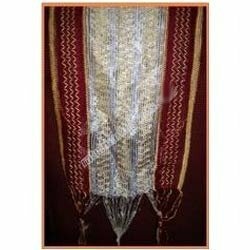 We manufacture high quality printed stoles with a variety of designs.